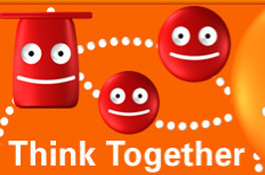 The students at River Glen and Zanker School made web pages on Think.com to share information and to review and comment on each others work. The students at Almaden School were not able to complete their web pages because of time constraints. These web pages allowed the students to get to know one another, to share their poems, essays, and reflections, and to learn the fundamentals of web page design. The students in both Zanker and River Glen were excited by the chance to have their own web pages and their creation provided a powerful motivator for completing other activities that were part of this project. The students at both school first wrote poems or paragraphs introducing themselves. The poems written by the eighth graders at River Glen can be seen by clicking here or going the the River Glen section of this web site. Below are some samples of paragraphs written by the students. The students at the two schools then visited each others web pages, left notes for each other and emailed at least two or three students in the other class. Posting their essays and public service announcements on the web pages provided a motivation for finishing the activity. Seeing the responses let the students know that they had an audience for their writing.